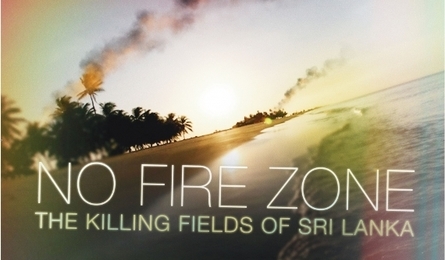 No Fire Zone outlines the final months of the 26-year Sri Lankan civil war during which between 40,000 and 70,000 civilians were brutally killed. The film uses powerful testimonies and video evidence to show how the government committed war crimes through systematically targeting and torturing thousands of its civilians. The film sought to bring worldwide attention to war crimes and crimes against humanity committed during the 26-year Sri Lankan civil war and to make the government accountable for its actions. ● The No Fire Zone team used a strategy of generating media publicity about the film to drive their campaign. Screenings, media and advocacy campaigns made the front pages and primetime television with over 150 major news stories and dozens of interviews during the week following the film’s February 2013 launch. ● The hashtag #NoFireZone was used extensively and at one point during the UK’s Channel 4 airing, the hashtag trended at no.1 in the UK. ● The media campaign was supported by continuous journalistic coverage on the part of the filmmakers, who continually updated the story and provided further insights and revelations at critical points in the campaign. For more information No Fire Zone’s widespread impact, read the Britdoc Impact Awards report.